Albert R. Broccoli, from the available evidence, couldn’t stand The Man From U.N.C.L.E. 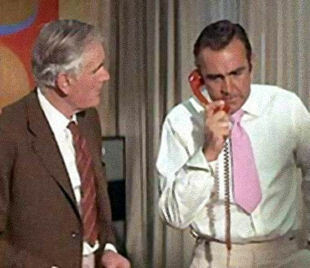 In his autobiography, the 007 film producer called the 1964-68 television show “a straight steal from (Ian) Fleming’s use of acronyms like SMERSH and SPECTRE.” (Page 199, When the Snow Melts). For a short time, Bond creator Ian Fleming was involved in development, his main contribution was the hero’s name of Napoleon Solo. Of course, there was a gangster called Mr. Solo in Goldfinger, so Eon Productions attempted to prevent the show (originally titled Solo) from going into production. The whole matter was settled out of court, though Cubby may have gotten a bit of revenge. Goldfinger’s script was changed in its latter drafts so that Mr. Solo was crushed in a Lincoln Continental after not wanting to participate in Goldfinger’s scheme. Still, Broccoli’s animosity might not have prevented Eon from, eh, borrowing from U.N.C.L.E. One of the iconic props of The Man From U.N.C.L.E. was the U.N.C.L.E. Special, a Walther P38 (initially a Mauser) handgun with a sight, shoulder stock, barrel attachments and an extended magazine. People who barely watched an episode still came away impressed by the U.N.C.L.E. Special. Flash forward a quarter-century to 1989’s Licence to Kill. 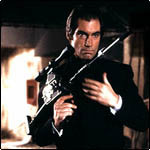 One of its signature gadgets was a “signature gun,” supplied by Q to a 007-gone-rogue (Timothy Dalton). 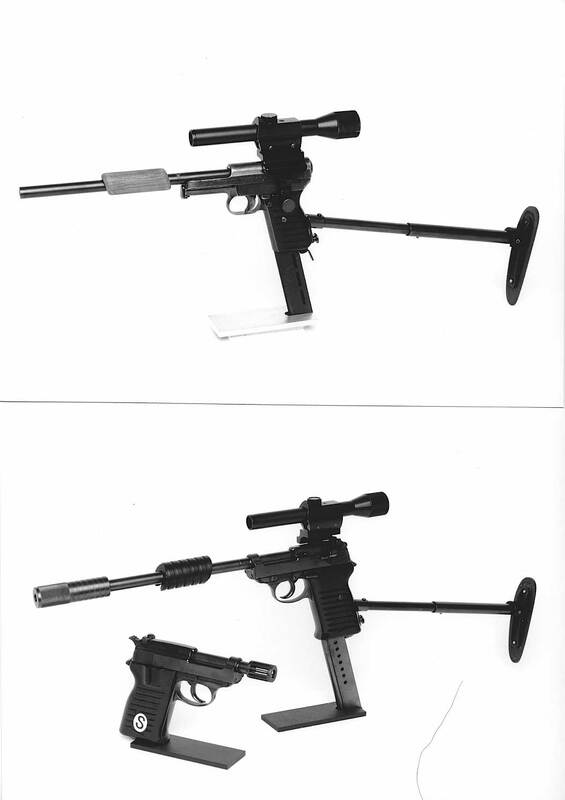 It consisted of a gun disguised as a camera which was added a sight, a shoulder stock and gunbarrel attachments. It didn’t have an extended magazine but it had a “palm reader” that ensured nobody other than Bond fired it. And it looked….an awfully lot like a fully assembled U.N.C.L.E. Special.